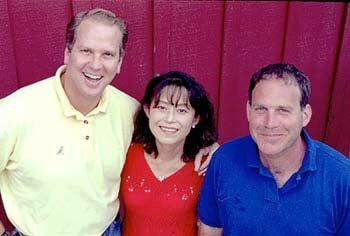 Ken likes to tell the story about how he met his wife, Akiko, who is his partner in the Freeman Vineyard & Winery. After college, Ken was sailing on a boat to the Caribbean with a friend, but Hurricane Gloria forced them ashore in Larchmont, New York, close to Ken’s hometown. Ken decided to visit and joined a party where he met Akiko, who had recently arrived from Japan and shared his passion for fine wine, especially Pinot Noir. The date of their meeting, September 26, 1985, is engraved on the keystone at the winery’s entrance. The Freemans launched their winery in 2001 after acquiring a small winery in the Russian River Valley town of Sebastopol. From the beginning, they were committed to a style of Pinot Noir that featured elegance, lovely ripe fruit flavors, and approachability upon release, yet possessed enough depth and structure for extended aging. Freeman wines are sourced from 13 different vineyards in the Sonoma Coast and Russian River Valley appellations. The 6-acre Guidici Vineyard, high above the town of Occidental, owned by Leonard and Geri Guidici and farmed by Charlie Chenoweth, has been a source of grapes for Freeman for the last five years. Next to the Guidici Vineyard, the Freemans have planted 12 acres of Pinot Noir at what is called Freeman Ranch Vineyard. The clonal mix includes 667, 2A, Pommard, and Swan, Calera and La Tache selections. Except for the Keefer Ranch vineyard designate bottling, all the Freeman wines represent blends from various vineyards. The winemaker since the winery’s beginning has been Ed Kurtzman, a likable, laid back but extremely talented vintner, who also crafts wine for August West, Roar and Sandler Wine Company. Akiko and Ken are also involved in the winemaking and participate in all the blending and stylistic decisions. The Freeman winery is unique in the Russian River Valley, housed in a cave which has been beautifully refurbished by the Freemans. The 2008 wines are the best I have tasted from Freeman to date. The 2009s, tasted out of barrel are precocious and astonishingly good. As much as the 2007 vintage has been touted in California, many winemakers feel that the 2008 vintage wines are every bit as good and the 2009 wines will possibly exceed them both in quality. The Freeman 2008 vintage wines have just been released. 1,473 cases, $44. Sourced from five vineyards, with a third from Ted Klopp’s Thorn Ridge Vineyard. Aged 11 months in 47% new French oak. · Richer and earthier than the Sonoma Coast bottling with bright flavors of ripe Bing cherries, dark berries, oak and cola. Still rather closed but the future is very promising for this wine. Has the bones (tannins and acidity) to age ten years. Good. 14.1% alc., 550 cases, $44. Sourced from Heintz Vineyard, Keefer Ranch and Black Emerald Vineyard. Aged 14 months in 20% new French oak, barrel fermented with 100% MLF. · Beautifully proportioned with just the right touch of oak. Crisp and clean with appealing flavors of pear, white peach and creme brulee. Not at all tiring to drink like many California Chardonnays. One of the top California Chardonnays I have tasted from this vintage. Very good. 1425 cases, $44. 44% Rayhill Vineyard, 32% Guidici Vineyard, 24% Sexton Vineyard. Aged 11 months in 40% new French oak. · Very approachable wine that is medium-weighted with charming black cherry fruit and soft tannins. The nose is quite delicately fruited with notes of dried rose petals. I liked this a lot. Very good. 14.2% alc., 445 cases, $48. Aged 11 months in 35% new French oak. · Bright scents of strawberry and raspberry tart with hints of baking spice and orange tea. Tasty panoply of redder fruits with herbs and tea leaves mixed in. Silky smooth with soft tannins, bright acidity and an appealing elegance. A sweetheart wine that is very approachable now and quite easy to drink. Very good. 14.2% alc., 420 cases, $56. A barrel selection chosen by Akiko, Ken, and winemakers Ed Kurtzman and Eric Buffington. Each person’s top barrels are blended and tasted blind. Called Akiko’s Cuvée, because her blend nearly always wins this blind tasting. Keefer Ranch fruit makes up the largest portion. Aged 11 months in 38% new French oak. · Shy, teasing aromatics with scents of wild berries, oak toast and cut flowers. Rich and satisfying red and purple fruits on the palate with caressing tannins. Very smoothly textured and seamless. Tasted the next day and the day after from a previously opened and re-corked bottle, the wine retained its appeal indicating age ability. A stunning wine that will easily go 15 years. My wife went gaga over this wine. Production at Freeman Vineyard & Winery is about 4,000 cases annually and most of it is sold through a customer list at www.freemanwinery.com.